This choker is too good! 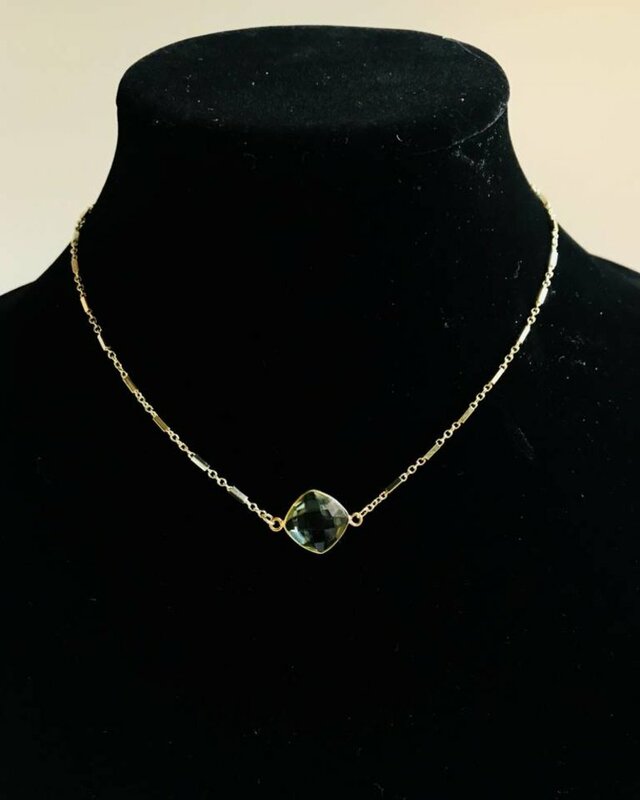 It's very simple but the stone gives it a little more character and it's great for layering with other dainty gold chains. 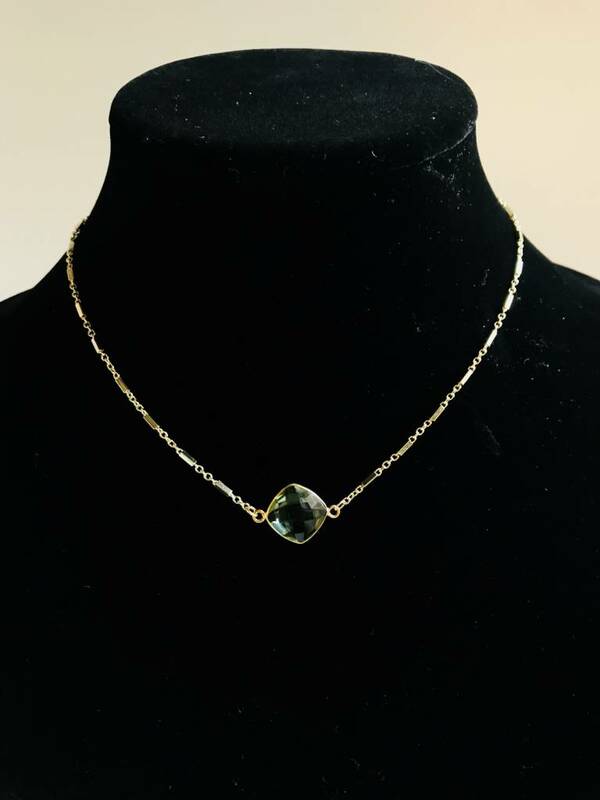 This style comes in a Green Amethyst stone.